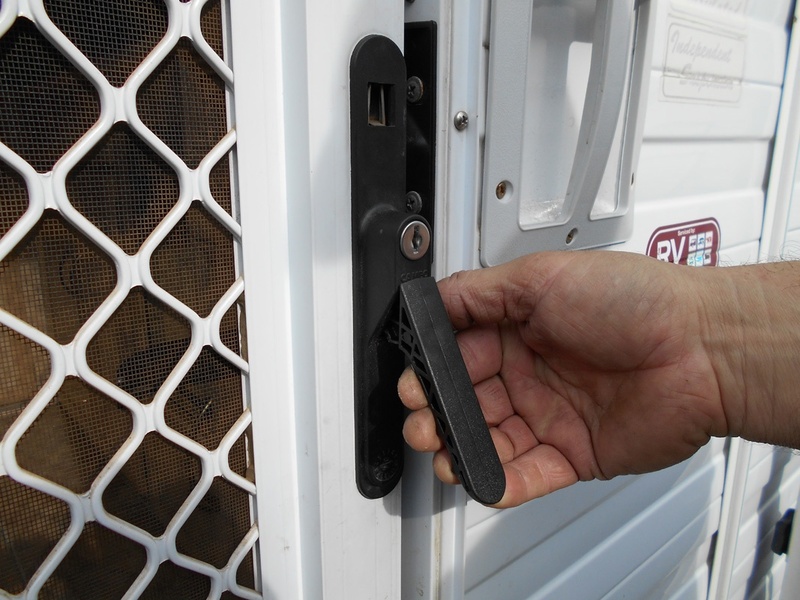 RV entry door handles can be prone to damage, with excessive force and exposure to the sun being the main culprits. Here, we show a simple step-by-step replacement. 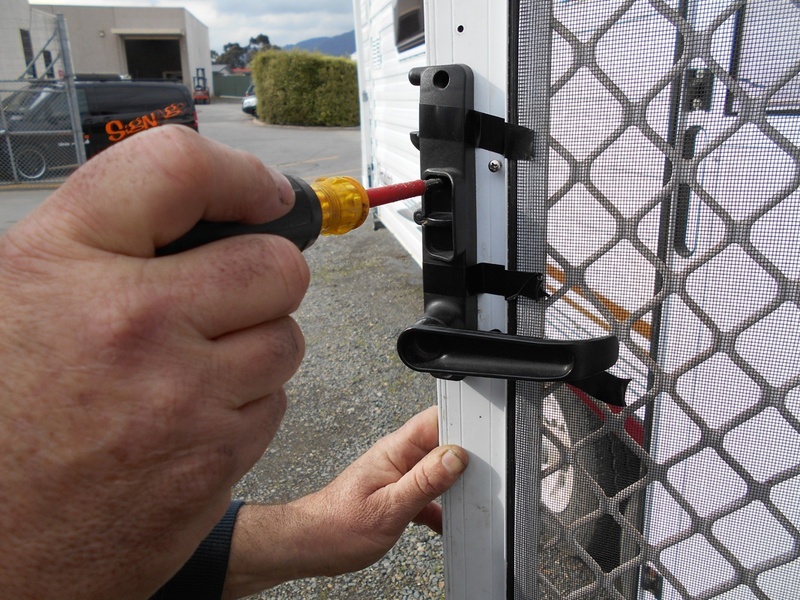 Separate the main and flywire doors. 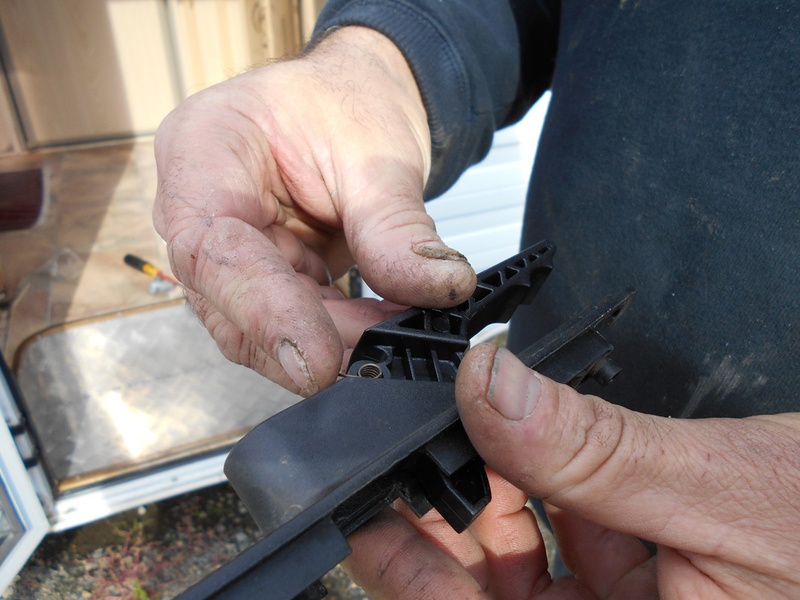 Some tape around the interior handle keeps it in place. 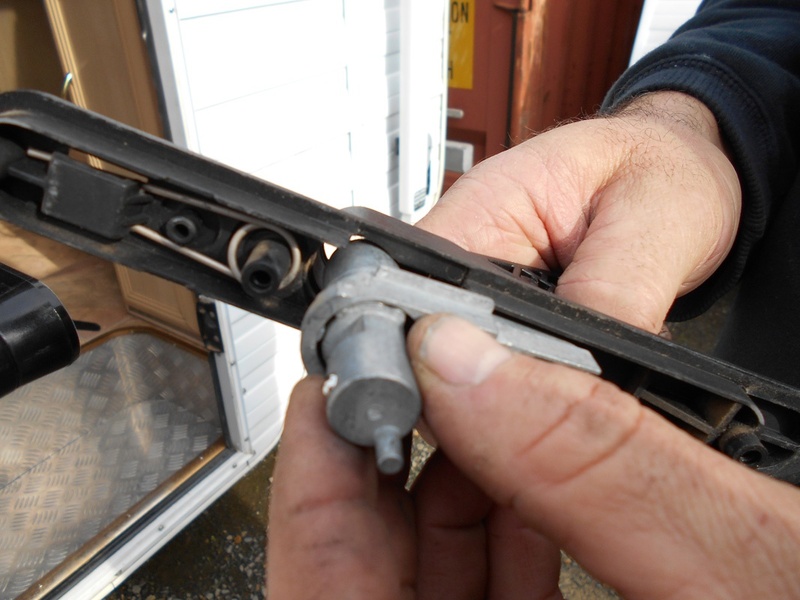 Remove the internal handle mounting screws with a screwdriver. 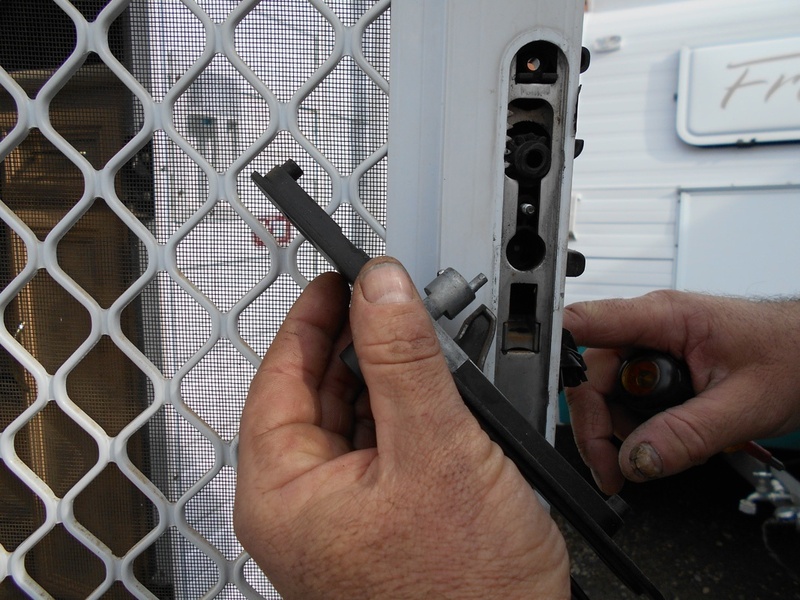 Remove three screws – two are visible and the third is located behind the slide plate. 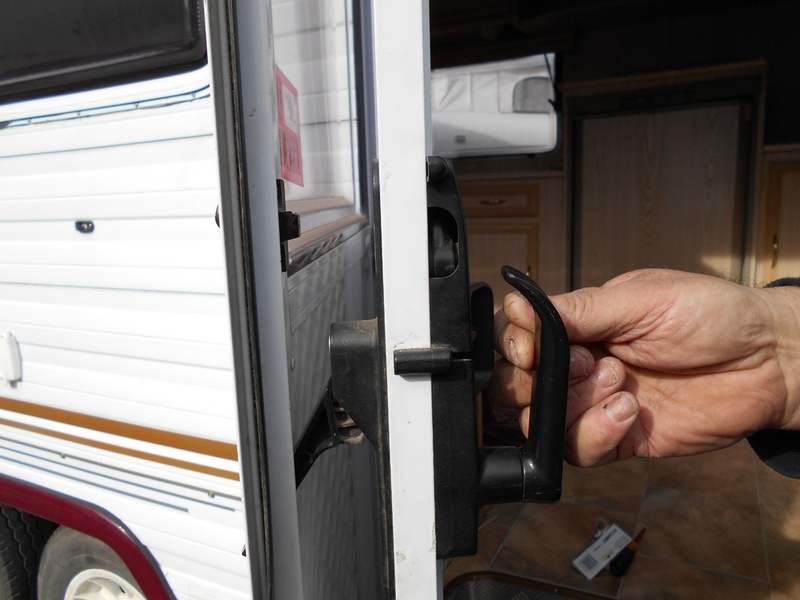 Now separate the handle from the door. 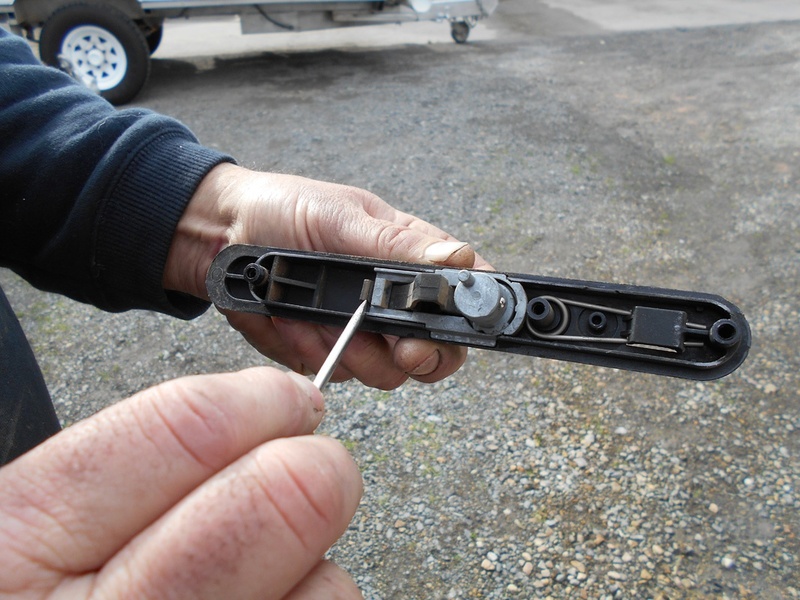 Use a screwdriver to release the retaining clip that holds the door lock tumbler and remove this from the body. 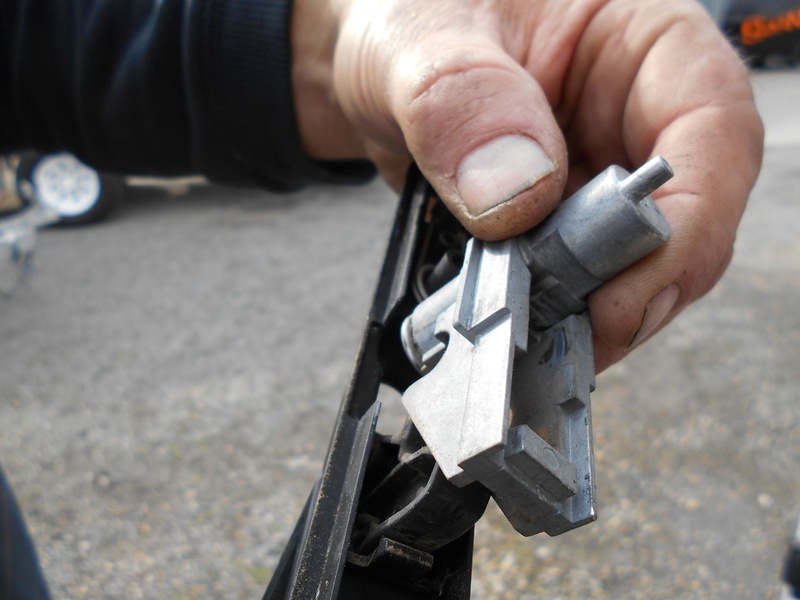 Remove the locking barrel that also contains the exterior door handle from the body. 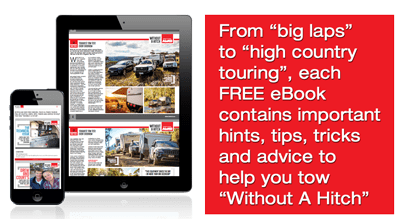 Now separate the exterior handle from the body. 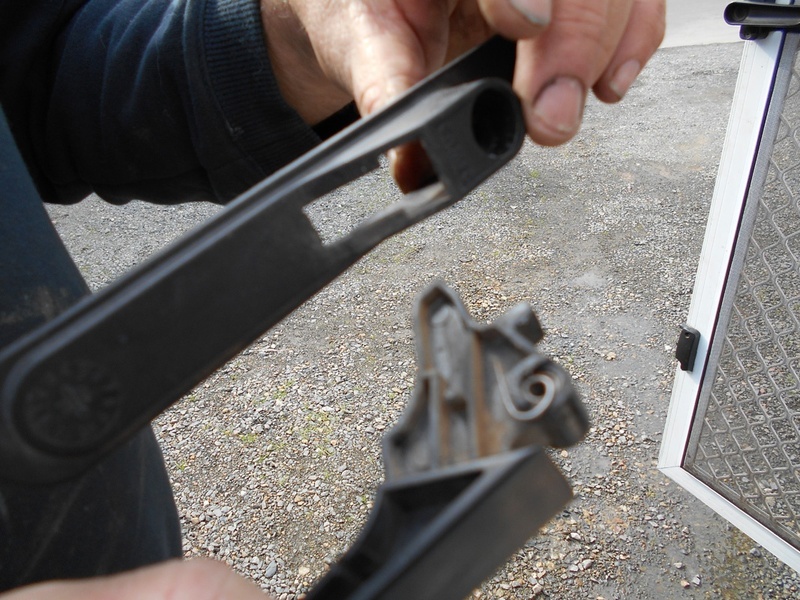 Install the new exterior door handle into the body, ensuring the small coil spring that is supplied with the new handle is remounted in this position. 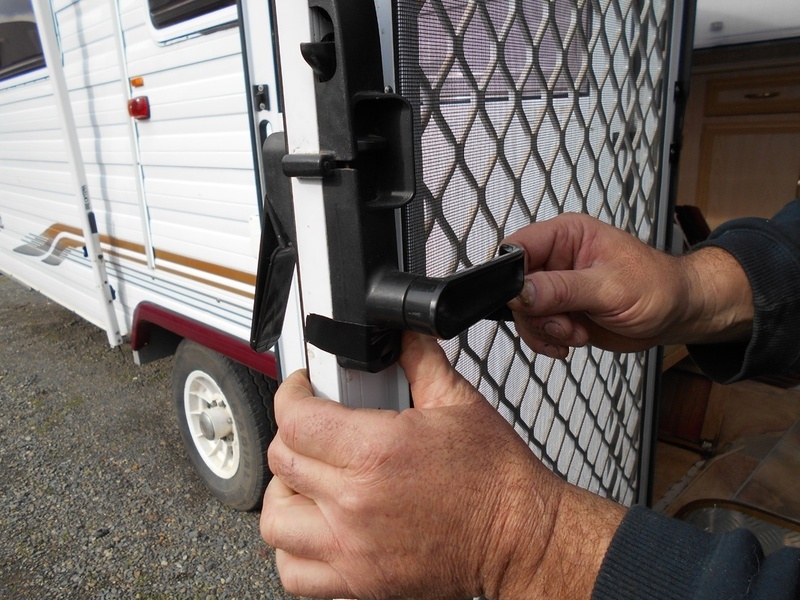 Place the locking barrel back into the body so it aligns with the new exterior door handle. 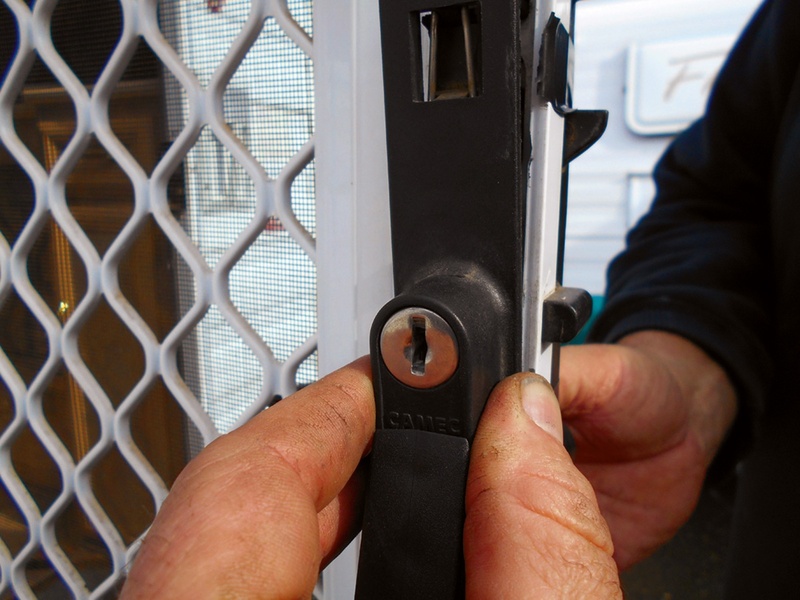 The key lock installed within the new exterior door handle. 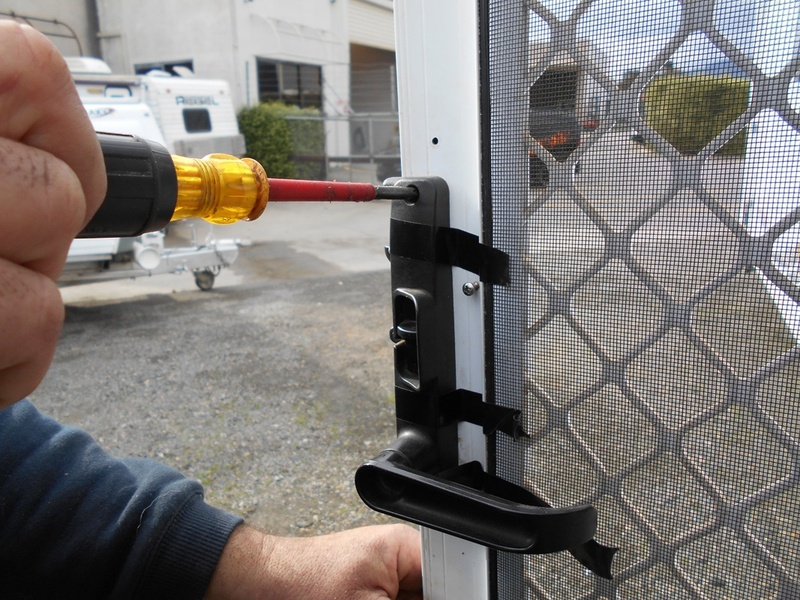 Place the exterior door handle and its body back onto the flyscreen door and insert the three screws. 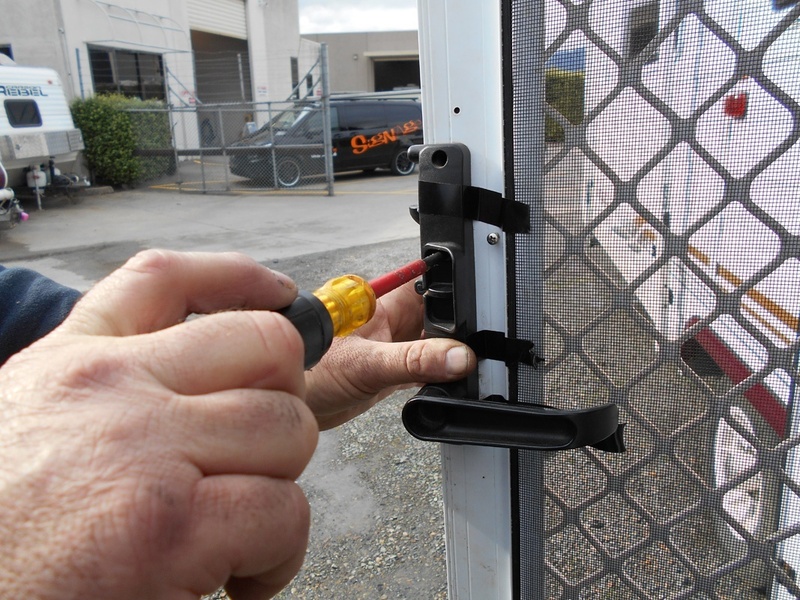 Check the new exterior handle operates freely and that the key lock works. 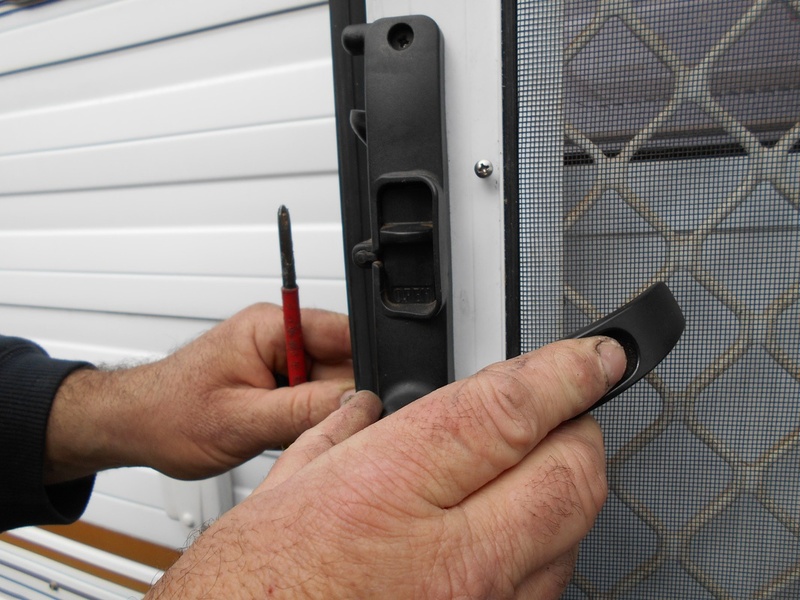 Rejoin the flyscreen and entry door, and check the internal door handle open/close and lock.